Bovine lactoferrin (LF) was supplemented with Cu2+ at three contents of 0.16, 0.32, and 0.64 mg/g LF, respectively. After then, LF and Cu-supplemented LF products were assessed for immuno-modulation in murine splenocytes and RAW264.7 macrophages, using dose levels of 10−40 μg/mL and four evaluation reflectors including stimulation index of splenocytes, T lymphocyte subpopulations, macrophage phagocytosis, and cytokine secretion. The results indicated that LF and Cu-supplemented LF products had suppression on splenocytes as well as concanavalin A (ConA)- or lipopolysaccharide-stimulated splenocytes; however, using lower Cu-supplementation content (i.e., 0.16 mg/g LF) and lower dose level (10 μg/mL) alleviated this suppression significantly (P &lt; 0.05). 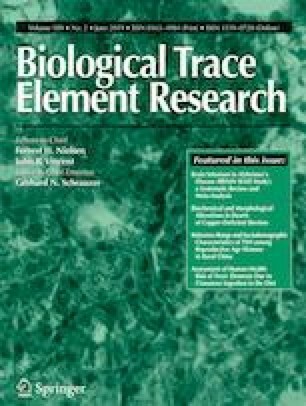 Compared to LF, Cu-supplemented LF product of lower Cu-supplementation content at lower dose level yielded slightly enhanced macrophage stimulation, increased CD4+/CD8+ ratio of T lymphocyte subpopulations in ConA-stimulated splenocytes, and significant secretion enhancement for interleukin-2 (IL-2), IL-4, interferon-γ (in splenocytes), IL-1β, and tumor necrosis factor-α (in macrophages) (P &lt; 0.05). Furthermore, Cu-supplemented LF product of higher Cu-supplementation content (i.e., 0.64 mg/g LF) at higher dose level mostly showed opposite effects in the cells, in comparison with its counterpart at lower dose level. It is concluded that Cu-supplementation of LF can alleviate or increase LF’s effects on the two immune cells, and moreover, Cu content of supplemented LF is a key factor that modulates these effects. The authors thank the anonymous referees for their valuable advice. This study was funded by the National High Technology Research and Development Program (“863” Program) of China (Project No. 2013AA102205).